Black square pot, perfect for indoor Marijuana plants. 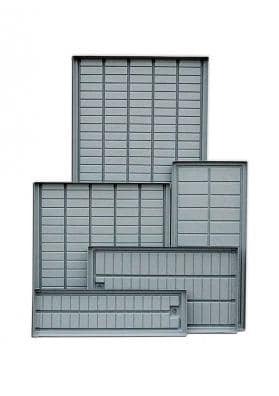 It is sturdy and durable havgin a great drainage system and available with 5 sizes. Its design will allow you to potentiate the space of your growing room. 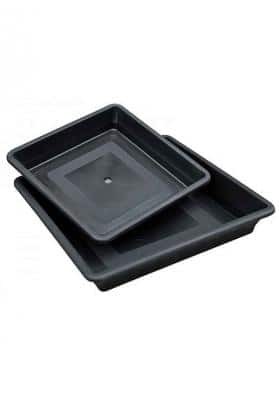 Black square pot, perfect for indoor Cannabis plants.. 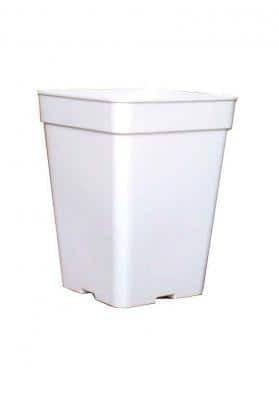 It is a sturdy and durable pot with a deep background that permits a better use of the available light with side openings for an optimal drainage of the plant. This format prevents the accumulation of water without oxygen in the bottom of the plant and consequent putrefaction of the roots. They are perfect pots as a seedbed for transplants or as final cultivation pots. Their format allow them to be fitted like grills using the available space in a greenhouse or a growing room. This pot is has 5 different sizes to suit the needs of different cultivations. 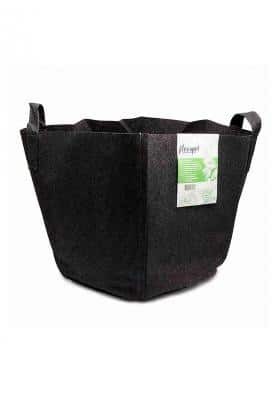 It is a product specially suited for indoor use so we do not recommend to use it in the garden as its black color will attract the sunlight and will consequently burn the roots of the plant.